Executive Printers of Florida specializes in Design, Print, and Fulfillment as well as Branding and Consulting to best service our clients' ever changing needs. Executive Printers of Florida is a full service copy & printing company in Miami Florida. We are able to service your needs in our new state of the art facility. If you are looking for brochures, magazines, manuals, pamphlets, booklets, or graphic design, you have come to the right place. We can print everything, including oversize posters, banners, giclee, fine art prints on canvas, large signage, vehicle wraps, marketing materials, and that large copy project that needs a fast turnaround. Executive Printers of Florida can provide the solutions you require. When it comes to tradeshow printing and convention printing, we are on top of the game. With years of experience, we understand the unique needs of our clients and with the experience of our team; we are geared to providing the absolute best service, quality and value for our clients. Our goal is to please the client, through personal attention. Paper used in the production of printing literature and printing such as business card printing, leaflet printing, brochures, posters are FSC ® approved, which is produced from sustainable forests and wherever possible all waste products are recycled. With quality printed on every page of our banners, posters, brochures, calendars and books, we have established a reputation in the printing industry. 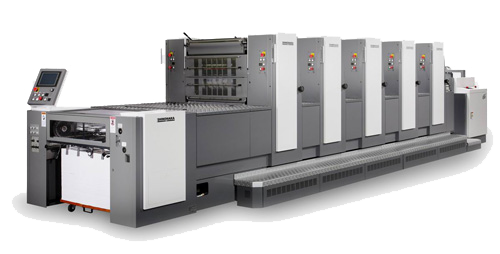 We have successfully undertaken technically challenging print jobs by numerous clients locally and around the world. High quality, reliability and value-added services have placed Executive Printers of Florida among the ranks of leading industries. We emphasize on quality and quick turn-around time, as well as our ability to provide end to end solutions from printing to delivery. 16 Nov	Product Spotlight | Comments Off on Bigger is better with larger then life Wall Wraps! Their customer service skills are excellent, the quality of the printed projects always exceeds our expectations, their price rates are very competitive and the fact that they are green certified complies with our hospital Going Green Campaign.